Dr. Tom Lawrence, D.C., H.H.P., B.E.P. Our Doctor was born in Pittsburgh, PA-- a native of the North Hills area, a North Allegheny (NA) High School graduate. Dr. Tom was led into the natural healthcare practitioner field after suffering a high school wrestling mild neck injury in 9th grade, making it difficult to rotate his head to one side, but he found he was quickly able to return to the team activities through chiropractic treatment. He felt it was a small miracle. From that time forwards, Dr. Tom was driven to influence other peoples’ health through becoming a natural healthcare physician, leading him to becoming a Doctor of Chiropractic specializing in nutritional and functional medicine. Dr. Tom started his undergraduate studies at Penn State University two days after graduating from North Allegheny High School, enrolling for the Penn State summer semester term in 1980. After achieving 3 years of undergraduate college course credits at Penn State in less than 2-1/2 years, he was accepted into the National University of Health Sciences (NUHS) in 1982, transferring into their chiropractic medical program in the Chicago metro area. At NUHS, Dr. Tom completed a Bachelors of Science degree in Human Anatomy, completed an internship at the Chicago Health Services Clinic, and graduated as a Doctor of Chiropractic. During his chiropractic university studies he also was a year round team rugby player for NUHS playing in the Chicago Metro area league as well as in Canada from 1985-1989. Dr. Tom treated patients in two Chicago area health clinics from 1988-1989 after graduation, then moved to Colorado to pursue further career opportunities. Over these years Dr. Tom developed a great passion for downhill snow skiing and rugby, where he played semi-pro rugby for the Denver Barbarians from 1990-1997, giving him ample opportunities to work with extreme athletes and treating them to assist in fast recovery from their injuries. In 1989, Dr. Tom was employed by Dr. Michael Leahy, DC, the creator of Active Release Technique™ (ART) and chiropractor for the USA Olympic Training Center in Colorado Springs, CO. Afterwards Dr. Tom worked together with numerous medical & naturopathic physicians in the field of complementary and alternative medicine (CAM), known collectively as integrative medicine, utilizing cutting edge European healing therapies to assist patients in healing naturally from all types of degenerative diseases, digestive dysfunctions, heavy metal toxicity, cardiovascular diseases, chronic fatigue, auto-immune & various immune system problems, and chronic pain syndromes. In 1995 at this natural health clinic, Dr. Andreas Marx, ND, OMD joined Dr. Tom's natural holistic medical practice staff. Dr. Marx is the founder of Marco Pharma International ( MPI ) which is the USA importer of Nestmann Homeopathic & Herbal products, Somaplex, and Volcana Life products. It was during this vital one year working relationship with Dr. Andreas Marx when Dr. Tom developed an interest and hands-on learning of the principles and successful integration of German Biological Medicine together with Dr. Marx's teaching of the effectiveness of EAV or Bio-Energetic assessments. To this day Dr. Tom is thankful for Dr. Marx's patience and guidance in taking him under his wing and teaching him in person how successful natural therapies can be. Dr. Tom is board certified by the USA National Board of Chiropractic Examiners and licensed in the State of Pennsylvania to practice Chiropractic. Dr. Tom's G-d based faith is important to he and his family and Dr. Tom has a deep passion for using the gifts of healing with which he has been blessed, and he incorporates his education, training, and experience to help patients heal themselves. 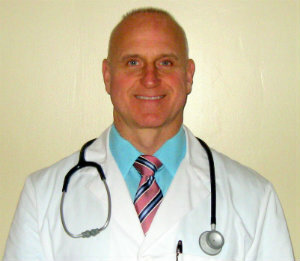 Dr. Tom is certified as a Holistic Health Practitioner (HHP) and an advanced Bio-Energetic Practitioner (BEP). Dr. Tom utilizes various functional medicine laboratory test assessments as well as German computerized EAV / EDS assessment technology to assist with uncovering the root causes of symptoms, disorders, and diseases. The EAV assessment is used to measure electrical resistance on patients’ acupuncture meridian points to detect organ stress and functional imbalances. This allows Dr. Tom to create personalized healing plans for his patients, clients, and customers. Dr. Tom's prescriptions for laboratory testing through blood, urine, saliva, breath, and hair samples are used to uncover and detect imbalances of hormones, neurotransmitters, digestive performance, and biochemistry, as needed. Anyone can obtain a prescription for these laboratory services by calling the office, if you desire to find out more about your health pleae call our office so we can guide you towards the best lab tests to complete. Dr. Tom's mission is to assist you in restoring health through natural remedies. Dr. Tom only recommends products which have been thoroughly researched by leaders in the field of natural therapeutics and produced by reputable companies whose products are only available through the advice of licensed healthcare physicians. Dr. Tom thoroughly believes that GOD ( the Biblical YHWH ) created the Human body’s intricate design while being mindful to also provide all substances in nature necessary to assist in restoring health when the correct substances, combinations, sequences, dosages, and timing are delivered to the human body. In 2007, Dr. Tom met his sweetheart Donna. Dr. Tom is a family man with a 25 & 9 year old son. Dr. Tom is grateful to be back in the “Burgh,” and naturally, he is still a diehard Steelers, Penguins, and Pirates sports fan. There is no doubt that Dr. Tom is a “Pittsburgher” through and through. Dr. Tom & his family love the Wexford suburban area and are excited to be part of the Pittsburgh community. We welcome with open arms those patients, clients, and customers who live in, around and outside of the Wexford and Pennsylvania areas, and we invite you to either call us or stop by the office to ask any questions you may have about our wellness care strategies. If you live further than an easy drive to our facilities, you can still obtain professional nutritional advice from Dr. Tom by calling our office. We also provide teleconference health consultations by Skype, just call our office to schedule that event.